Behavior is always happening; therefore, our dogs are always learning. With every action there is a positive or negative consequence. When a positive consequence occurs, our dogs are more likely to repeat the behavior. If a negative consequence occurs, our dogs are less likely to repeat the behavior. Because of this, we can find many good opportunities to teach our dogs. The problem is, as humans we often overlook the opportunities to reinforce a desired behavior, yet we are often keen to notice the undesirable ones. Sadly, this often leads to our dogs experiencing far more punishments and far fewer positive reinforcements. Because we tend to focus on “problem behaviors” and ignore “desired behaviors”, we have to teach ourselves to change our focus. The first step is to teach yourself to look for the “good” things your dog does. When you start to see these desired behaviors, you can begin to reinforce them with verbal praise, a pet or a treat. The more you offer positive consequences for these behaviors, the more likely they are to strengthen. If you observe an undesired behavior, you can either ignore it (if it is safe to do so) or you can redirect your dog to do something else. You will likely find that your dog will happily offer the desired behaviors more than the undesired behaviors because he likes the positive consequence. Eventually the desired behavior will become a habit and your reinforcement can become intermittent. People often tell me that they don’t have time to train their dog. However, if we train our dogs “in the moment”, we don’t need to set aside “training time”. I like to incorporate training in various everyday activities. For example, I will ask my dogs to sit before they come into the house from the backyard, I ask for a variety of behaviors (sit, down, spin, back up) before I feed them and I will ask for a sit or down before I throw the ball when we are playing fetch. When my dogs are sleeping on their beds, I often whisper “good boy or girl”, I try to give enough attention so they are reinforced but not too much that they get up. 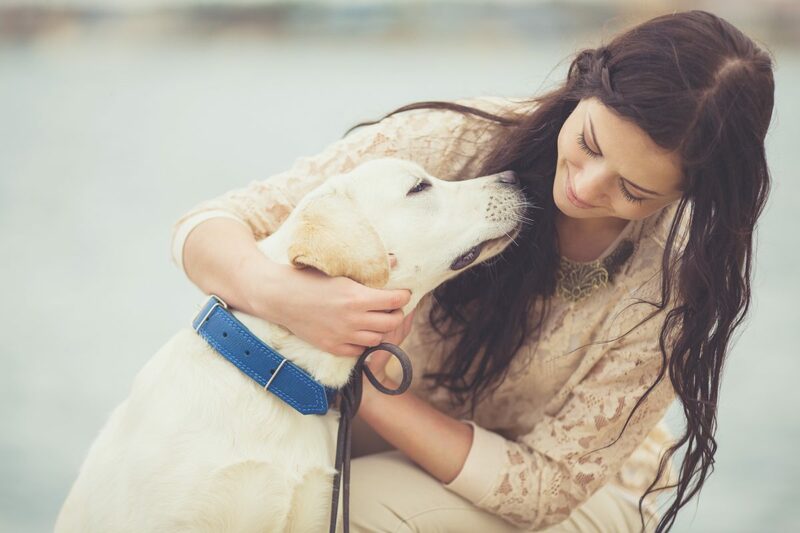 By paying attention and reinforcing behaviors you like, you are not only going to have a well-behaved dog, you are also going to improve your bond. Afterall, everyone likes a little praise and appreciation!